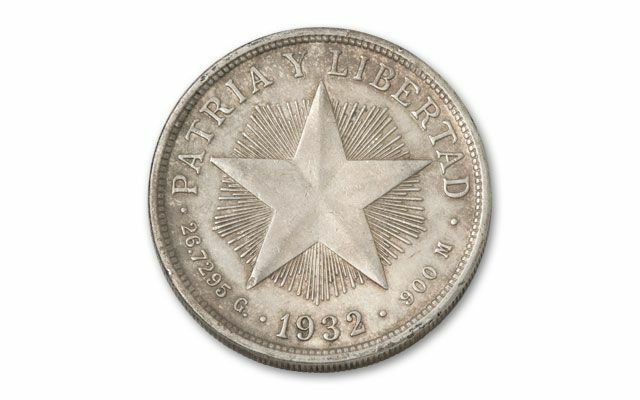 Because the U.S. had one of the strongest mints in the world, the Philadelphia Mint struck Cuban Star Pesos in 1915 to 1916 and again in 1932 to 1934. Star Pesos were struck on the same U.S. Peace Dollar planchets, yes, with good old American silver at the Philadelphia Mint. Also attesting to its American roots, Charles Barber— designer for American Barber dimes, quarters and half-dollars, created the distinctive Star with Rays design—named after its reverse. 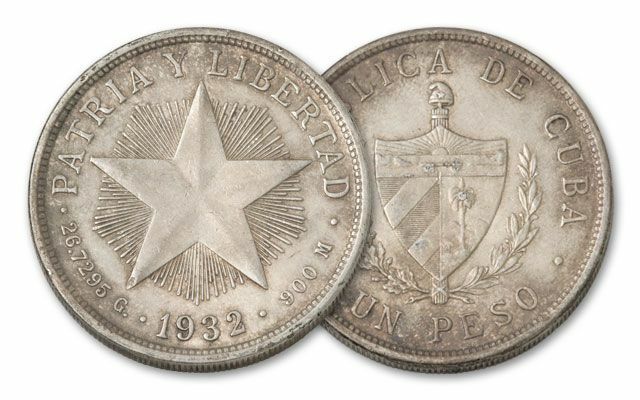 Each 1932-1934 Cuba Star Peso Silver was struck in 90% silver and is in Very Fine (VF) condition. 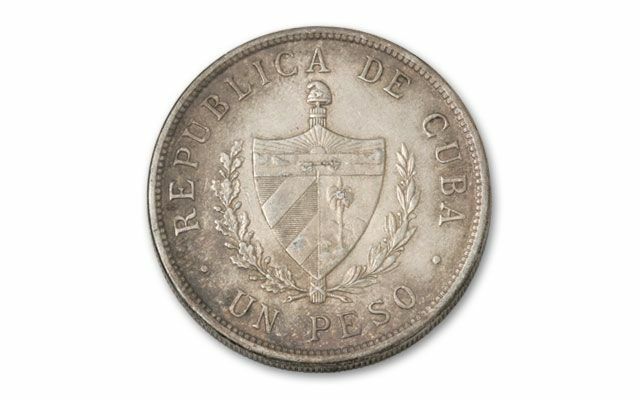 The obverse features the Cuba National Coat of Arms with a wreath. Many of the Star Pesos were held in government vaults to back paper currency and were melted down—so it is not known exactly how many have survived. These have attracted the attention of a variety of coin collectors. If you want one, place your order today! Dates vary.